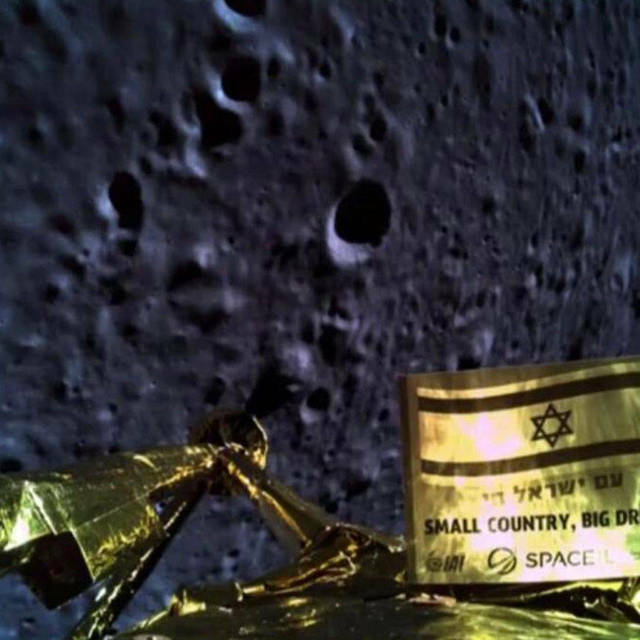 The final image sent back from the Beresheet Lander as it hurtled toward the moon. (Source: TeamSpaceIL/Twitter). Israel’s election results couldn’t be narrower, but they gave Netanyahu what he needs to become Israel’s longest-serving prime minister. Days after the election, Israel’s Beresheet lander was so excited to reach the moon that it didn’t slow down on time and crashed on the surface. Meanwhile, Airbnb reversed its policy on Israeli listings in the West Bank. Only 8.7 miles above the surface of the moon, Israel’s historic Beresheet moon lander started to sputter. The first sign something was wrong was when mission control started having problems communicating with the spacecraft at a critical stage of the attempted landing. Then the main engine went out. A live stream of mission control revealed tense team members glued to screens. 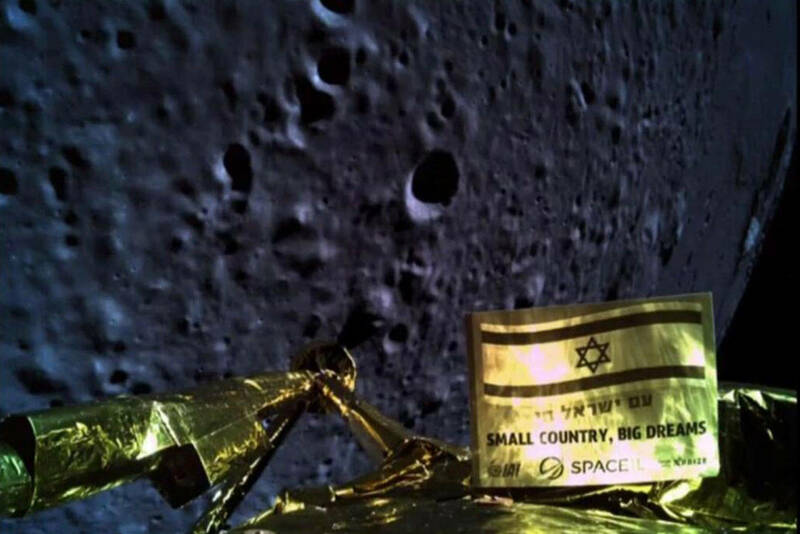 Hope rose when a cheer erupted as the main engine came back online, and again when only 4.7 miles above the surface of the moon the lander sent back an image of its engraved Israeli flag with the crater-pocked surface of the moon looming in the background. It was too late. Critical time had been lost in slowing the craft’s velocity, and on April 11 at a speed of 310 miles per hour, Beresheet crashed on the moon’s surface. "We had a failure in the spacecraft; we, unfortunately, have not managed to land successfully," Opher Doron, the general manager of Israel Aerospace Industries, said during the live broadcast from mission control. "It's a tremendous achievement up 'til now." Space.com reported that after beginning its journey atop a SpaceX Falcon 9 rocket on February 21, Beresheet looped around the earth for the next six weeks, performing engine burns now and again to push its elliptical orbit closer and closer to the moon. Then, gripped in the moon’s gravitational pull, Beresheet attempted the fateful landing. Now, the twisted wreckage of Beresheet is forever imprinted on the lunar landscape, but this is only the beginning. Backed by billionaire Morris Kahn and awarded a $1M prize despite crashing, the same team behind Beresheet is going to begin again with Beresheet 2.0. Israeli Prime Minister Benjamin Netanyahu held onto power with the narrowest possible margin in last week’s elections cementing his party’s role in the Knesset, but under drastically different circumstances than the previous election. Netanyahu’s Likud party claimed 30 percent of the vote followed closely by the new Blue and White party led by Benny Gantz with 29.2 percent of the vote. That gives Likud 36 seats in the Knesset and Blue and White 35, a close race between those two parties that far outpaced any other options in Israel’s multi-party system. The next closest party only gained eight seats. Here is a breakdown of Israel’s election results. With a slight majority in Likud’s favor, there is very little doubt that Netanyahu will retain his appointment as Prime Minister making him the longest-serving Israeli Prime Minister thus far. But after the accolade, Netanyahu faces the problematic challenge of assembling a coalition to run the government. Israel’s multiparty system relies on a team of parties running the government, so even if a party didn’t win the most votes, they could still end up in what’s called the governing coalition. The prime minister must broker deals with party leaders to get them to join the coalition until it holds at least sixty-one seats in the Knesset, at least half of the total. Historically, this has proven difficult given the many agendas and conditions of joining the coalition. Netanyahu has forty-two days from the election to gather enough support. In 2015, it took him more than a month before assembling a government. If he fails to do so, Israel’s President Reuven Rivlin will ask another politician to take over the responsibilities of Prime Minister and try his hand. Voting day proceeded calmly, but it wasn’t without controversy. Most notably, Netanyahu’s Likud party installed at least 1,200 hidden cameras in polling stations in Arab communities. The police confiscated cameras found when the Central Elections Committee's legal counsel said that they could not film voters arriving at the polling stations nor the voting process, according to Ha’aretz. Likud admitted to placing the cameras and hiring activists to wear them at the polls. They said it was to counter what Likud claimed were widespread voter irregularities in areas it said were at high risk of voter fraud, according to the Times of Israel. Likud lawyer Kobi Matza claimed the cameras were not hidden. Despite claims of mass fraud here and from other areas, such as the soldier’s vote, the election board said it found only one irregular ballot. The police opened an investigation into the placement of the cameras and is waiting to hear the Central Elections Committee's decision on whether the installation of the cameras is an obstruction of the voting process. The global lodging and hospitality service Airbnb has reversed its position and is reinstating listing Israeli homes in West Bank settlements on its site. After removing the listings last November, Airbnb thrust itself into the inescapable Israeli-Palestinian land controversy by blocking all listings from homes in Israeli West Bank settlements. A fifteen-year-old Palestinian boy succumbed to his wounds after being shot in the stomach by Israeli fire while participating in the violent weekly protests at the Gaza border fence. Two other people were injured by gunfire in the clashes as 9,000 demonstrators protested in five locations along the Gaza border, according to the Hamas run Gaza Health Ministry. The Jerusalem Post also reports a Palestinian was arrested after cutting the fence into Israel and waving a Palestinian flag. More than two hundred Gazans, many Hamas members, have been killed by Israeli troops at the border protests since the “Great March of Return” began on March 30 last year, according to Gaza health officials. One Israeli soldier was also killed by a Palestinian sniper, and several have been lightly wounded. This clash comes two weeks after the one-year anniversary of the protests, which heightened conflicts and led to Egyptian-mediated negotiations. Ha’aretz reports that the organizers of the weekly demonstrations agreed to freeze some of its activities and work to prevent mass gatherings near the border as Egypt negotiates a long-term calm.